Looking to share some holiday cheer with your feline friend? Dr. Don Waldron, chief veterinary officer at Western Veterinary Conference (WVC), lists which common holiday foods that are safe to share with your kitty, and which ones to keep on your own plate. As always, consult with your vet before feeding your feline anything new, and remember that moderation is key! 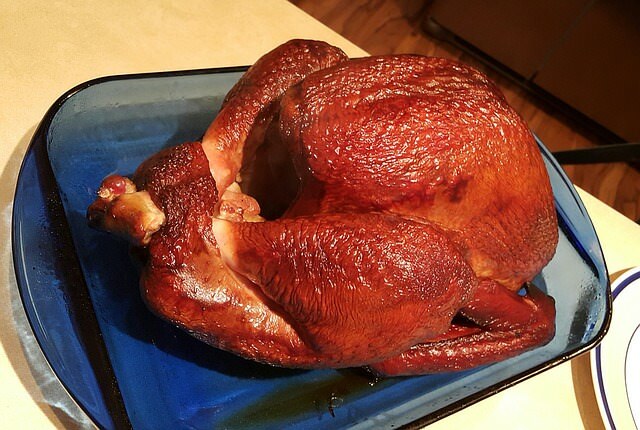 Turkey skin is difficult for a pet to digest and could lead to pancreatitis. This is a life-threatening inflammation of the pancreas that is extremely painful for your pet with symptoms including vomiting, diarrhea, and loss of appetite. Cooked turkey bones can splinter if they’re nibbled, causing a serious choking hazard. Onions and garlic contain compounds that can damage red blood cells if eaten in sufficient quantities, and . Lethargy and shortness of breath are two possible side effects. Make sure to keep any foods containing these ingredients out of reach of your kitty! This favorite holiday seasoning has hallucinogenic properties for pets. A small amount may cause a bellyache, but larger amounts may lead to two days of painful symptoms like disorientation and abdominal pain. Methylxanthines within the chocolate can cause vomiting, diarrhea, panting, tremors, abnormal heart rhythm and seizures. Dark is the most dangerous, followed by milk and white chocolate. These can cause kidney damage and should not be shared. If eaten by your pet, raw bread dough can expand inside your their stomach, causing vomiting, bloating, and severe pain. Equally hazardous is the fact that as the yeast multiplies, it’s producing alcohol that can lead to intoxication. This is a sweetener that’s used in many sugar-free baked goods. Though it’s not harmful to humans, it can lead to a severe drop in blood sugar levels in cats. If taken in large amounts, liver failure may result. Symptoms such as loss of coordination and seizures could occur anywhere from 15 minutes to several hours after ingestion. Check out this list of products that contain xylitol. This is a great source of fiber for your pet. In addition, pumpkin seeds are high in essential fatty acids, which promotes healthy skin and fur. Just make sure the pumpkin is plain, not sweetened or spiced. The benefits of sweet potatoes are numerous: They’re an excellent source of carbohydrates, vitamin B6, vitamin C, fiber, beta carotene, and manganese. Sweet potatoes can also provide an energy boost. Just don’t add anything extra like gravy or sour cream, and your pet is in the clear. Your kitty probably won’t be tempted by raw potatoes, but it’s good to know that uncooked potato can actually be toxic to pets. Most pets will be unfazed by this holiday treat, but keep serving amounts low: Cranberry sauce can be high in sugar. Homemade cranberry sauce with little or no sugar can be enjoyed by your cat in moderation. Plain, unseasoned turkey meat can be enjoyed by your cat in small amounts – chances are, this is the holiday food that she will crave the most! Just make sure that it’s not flavored with any of the bad stuff listed above!